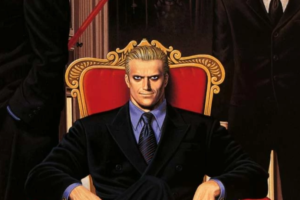 If you know me personally or have read a few of my articles you may have heard me mention a small game which involves murdering an entire party just because you want to get some sleep. This is very sound logic but some may argue that this may be taking it a little too far. 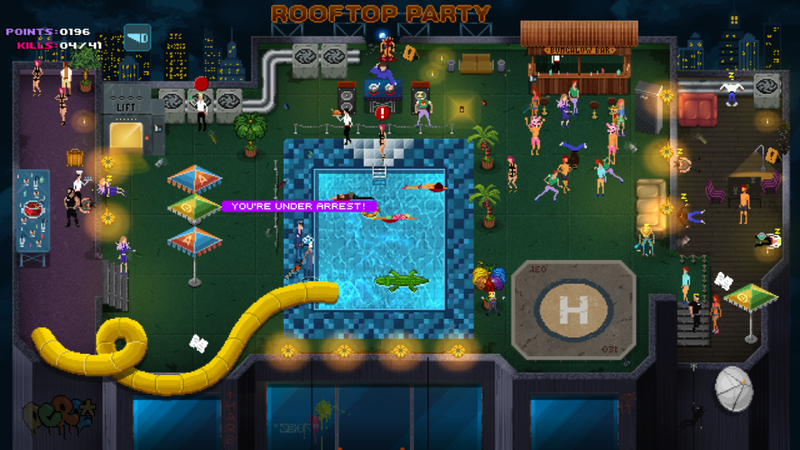 For those on the murder everyone side of the argument, Party Hard is the perfect game for you and for those who think the idea is just too outrageous then please hear me out. Admit it people, you have had those neighbours who think throwing a party until the early hours is total acceptable and the best you can do is to try to get through to them to stop the party or give the police a call. Either way, nothing will get done quickly. There is a third option but if you get caught you will end up spending a lot of time in a nice prison cell. 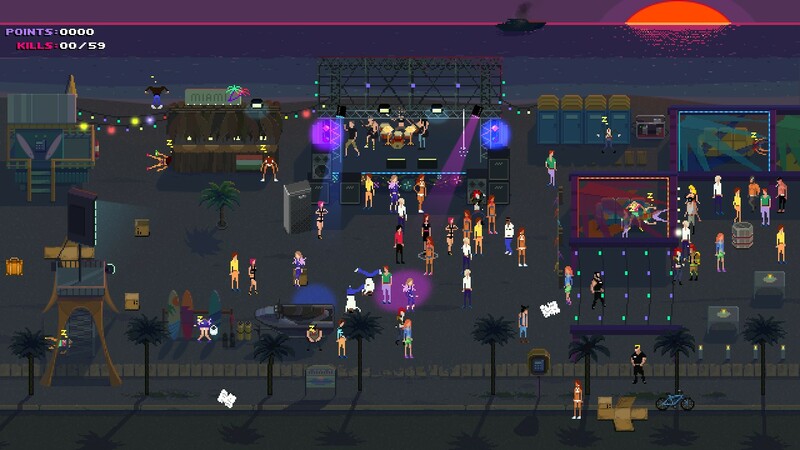 Party Hard allows you to live the third option through a stealth party murdering simulator set in a 16bit pixel perfect world. 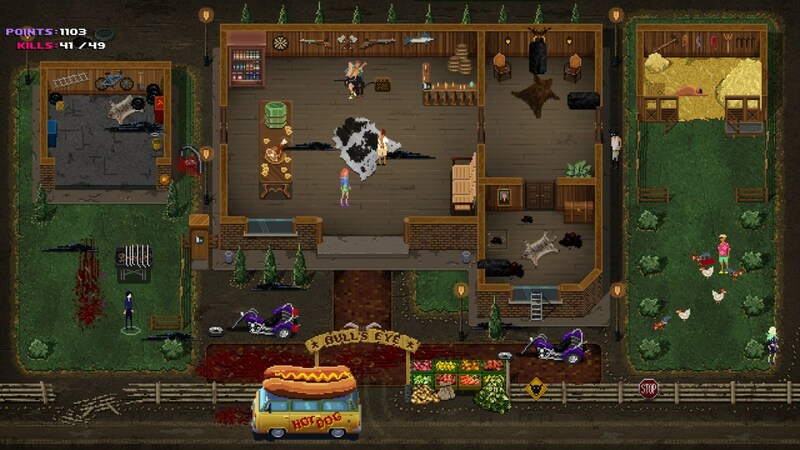 You play as a rather angry neighbour who is having trouble sleeping and sees the best solution to the problem is to kill everyone at the party and dance amongst their corpses once the deed is done. Upon entering the party you are presented with many ways of killing the rowdy guests. The basic (and simplest) way is to stab them but if you are caught doing this the police will be called and if you are not prepared for that you will get taken away. You can outrun them or change your clothes (if you have this item) but if you do this the next officer will be stronger than the last. The best way to eliminate guests and not get caught easily is to lay a few clever traps around the party. This will range from poisoning the food to causing speakers to blow up. What these traps do well is to thin out the crowd. Once the guests have been thinned out you can start picking out individuals without being seen. The only thing that you need to remember is to hide any bodies as if any of the guest see them they will call the police to come to the party and this can cause a delay in your efforts. They will not always come to arrest you based upon the body found but some guest can become suspicious of you which will always end up in a Benny Hill chase sequence. Each of he 12 Level is a different location but every time you load a level there will be slight differences in the traps laid out. What I found is that even though different traps appear there are always the same amount and this (mixed with the ever-increasing number of guest) is what makes the game difficult the further you progress. Early levels you can take out the majority with some well-timed traps but later levels pose a challenge as they can be spread out more meaning you have to be very smart about how you approach the level. If you rush in and use all the traps you will be left with just your knife and hope that all the playing of Metal Gear has paid off. The best tactic is to understand what each trap does and if there is any way to lure guest closer to a trap. 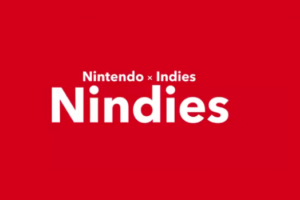 For example, the four level has a trap that takes out everyone on the dance floor and by starting a conga line you are able to easily take out half of the party guest with the press of a button. Another challenge faced is how the party is laid out. Early levels have multiple rooms that guest can go into and fall asleep there – these are the easy ones to take out whereas later levels may just have a large room with secluded areas in which you must take advantage of. At the end of the day Party Hard is very much like Hotline Miami in the sense that it is all down to trial and error. You may get it first time but do not give up if you fail as you will learn from your mistakes and in no time wipe out an entire party’s worth of guests. If not you will be stuck at the same party listening to the same 15 second midi track on loop for eternity! I am still currently working through the levels as I like to play it in between other games and this is exactly what Party Hard is – a quick game that you can play if you have a spare momentous two. 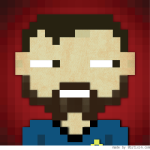 It has no real depth other than killing everyone and replay ability is going to be down to individual plays. I feel that you will either play it all through and forget about it or play it steadily, returning to your favourite levels as you go. 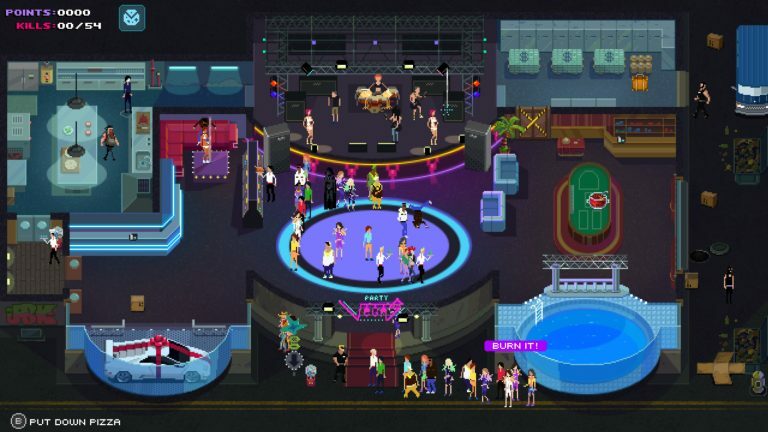 It is all down to personal taste at the end of the day and with it being another indie game on a console, I can imagine there are some will not touch it at all but Party Hard is a unique quirky experience that I will find myself going back to when I’ve had one of those terrible days at work. Some may say you are too old to party but they never said anything about stopping it.